In addition to reimbursing employees for work-related college tuition costs, we invest in training, internal programs and other resources. We bring the experts onsite regularly to keep our employees and managers inspired, motivated and ahead of the curve. We are customer centric. In order for an organization to be effective and efficient, every team member needs the training and understanding to perform at their best. A strong team ensures all members have an equal chance to contribute to the organization’s success. Abel Womack is team-oriented and we ensure everyone knows our goals and works hard to achieve them. The better trained the team member, the better the team. The better the team, the stronger the company. We provide employees with onsite training, including Customer Experience, Quality Management System, and Excellence in Management to ensure our team in equipped with the training they need to be successful. We partner with professional development experts who help us design programs that are relevant, effective, and efficiently delivered so employees can regularly participate and continue to expand and share their knowledge. Why Join the Abel Womack Team? Our service technicians are continually challenged by the variety of equipment we service. Our structured, on-the-job training program turns skilled technicians from other industries – like auto, diesel and aviation mechanics – into expert industrial equipment, electro-mechanical technicians. In partnership with The Raymond Corporation and Kardex Remstar Corporation, technicians receive formal training and certifications to work on state-of-the-art equipment. 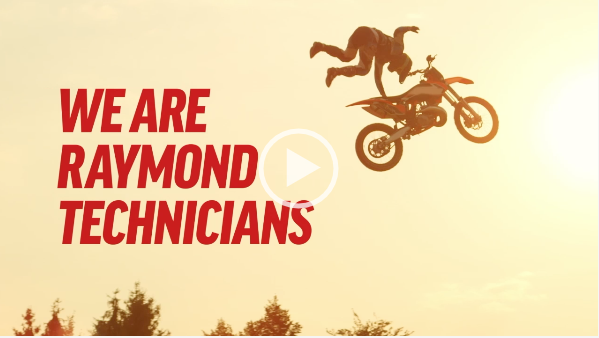 All Abel Womack technicians participate in Raymond’s award winning “Technical Development Program” (TDP), consisting of three sections, The Technical Primer (TP), Schedule Maintenance (SM), and Troubleshooting and Repair (TSR). The classroom and hands-on training prepares employees to receive nationally-recognized certifications. Our team-structured approach to service means you’re never “alone on the island” when servicing our customer’s equipment. We know that every technician has different strengths and passions. When troubleshooting equipment, you’ll have easy access to skilled technicians who will support you when you run into a difficult repair. Our highly-skilled Technical Specialists will help to ensure your success. The Abel Womack service technician is always learning as technology advances, new equipment is released and the latest “Best In Class Products” are added to our line up. Our skilled technicians are awarded opportunities to train and work on a variety of other material handling equipment, including electric forklifts, high density storage systems, PLC controlled conveyors, and FANUC robots. There are plenty of technical challenges to keep you on the team and engaged for a long time. This type of environment has resulted in increased job satisfaction and long lasting careers with Abel Womack. Many of our technicians have been with the organization for more than 15 years. Military Veterans will be glad to know that we are a VA-approved OTJ training organization, and we’ll work with you to transition your skills to a stable, exciting career in our industry. If you are looking for steady growth at a well established, secure and successful company, then come grow your career with us.